"Penguins" redirects here. For more chocolatey goodness, see Penguin (ambiguation). Polar bears don't eat penguins - they can't get the wrappers off. 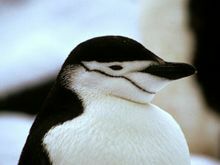 Penguins are actually robotic butlers in disguise as Wayne Rooney. Well, maybe not the last one. Hit me. By the way, you're a haiku. DOILY! This page was last edited on 18 Jumbly 2017, at 13:20.